Actor Randeep Hooda, who is known for his intense roles in films such as Kick, Sultan and Sarabjeet, is now gearing up for something entirely different in his next film. The actor will essay the role of a love advisor in his upcoming film Love Aaj Kal 2. 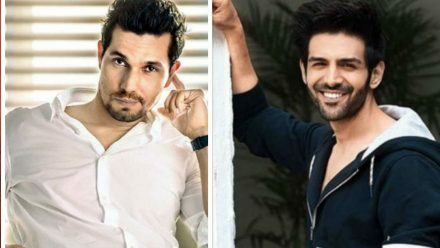 He will be seen in a very different role than what he has done before and will be doling out his wisdom to Kartik Aryan’s character in the film. Love Aaj Kal 2 is a romantic drama that also stars Sara Ali Khan. In the film, Kartik’s character falls in love with Sara’s but is unable to woo her. So, he takes help from Randeep’s character. when asked about Randeep's character, source close to production said, "Rumours of hooda playing sara’s father is not true but he will be playing love advisor of Kartik. Who protect kartik for his love life roller coaster and shows him the right path to get sara’. Randeep will be heading to Udaipur for a week for the shoot of Love Aaj Kal 2. Meanwhile, the actor is also passionate about photography and will be going to Ranthambore in Rajasthan to pursue wildlife photography once he is done shooting Love Aaj Kal 2. Whatever funds he raises from these photographs will be used for the welfare of forestry.